Fifth-grade students are participating in the living museum. Foster City Rotary donated a new dictionary generously to students of all 3-year-old Audubon. Thank you for your Foster City Rotary! Audubon Students were excited to welcome Mr. Anthony back to campus to engage in "I've Got Your Back" and "You Belong" workshops as part of our PBIS Social Emotional Learning Program. Find out more about Soul Shoppe by visiting their website. 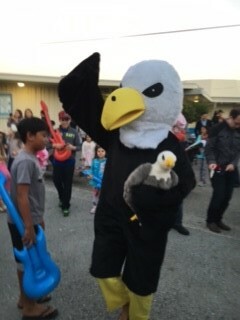 Audubon Staff celebrates Halloween -Thank you to Foster City Parks and Rec. Audubon PMT/PE and office staff who organized Audubon's Halloween Festival. Also, thank you to and all the parents who volunteered and attended to help make the day fun for students. 4th and 5th Grade students have the opportunity to be Jr. Coaches at recess and lunch time. 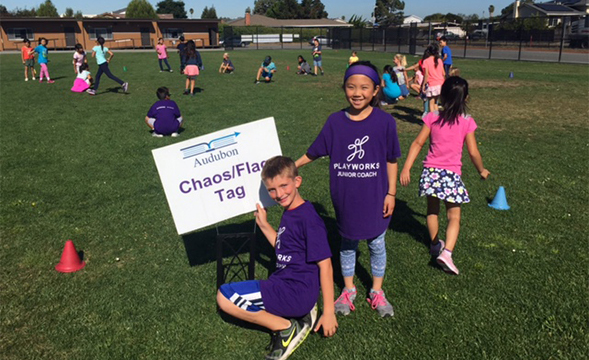 Students lead group games, and encourage their peers to engage is positive play. 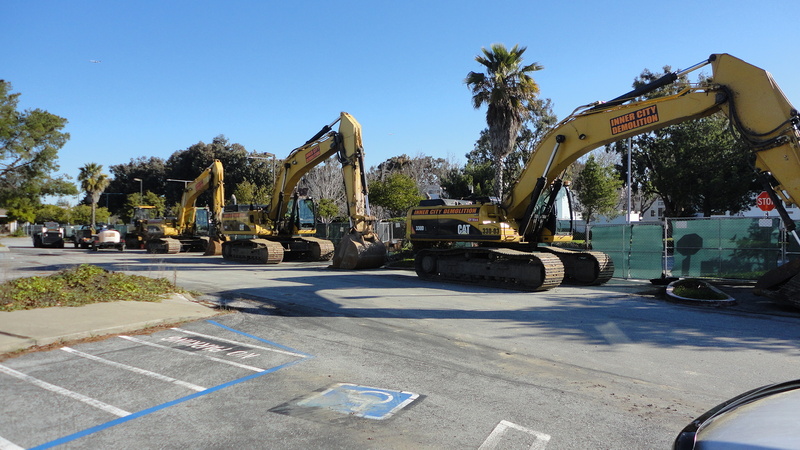 Audubon Elementary School, to create a garden of the school, in order to maintain, has partnered with the parks and recreation department of Foster City. 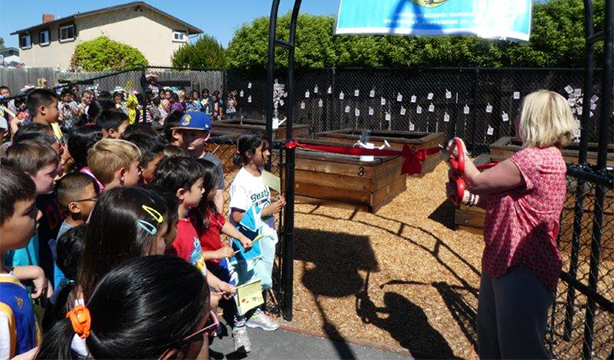 Audubon 2 grade students took part in the ribbon cutting on September 27, 2017. Please park on the Gull Ave, walk through school staff parking lot to MPR Building at end of the lot. 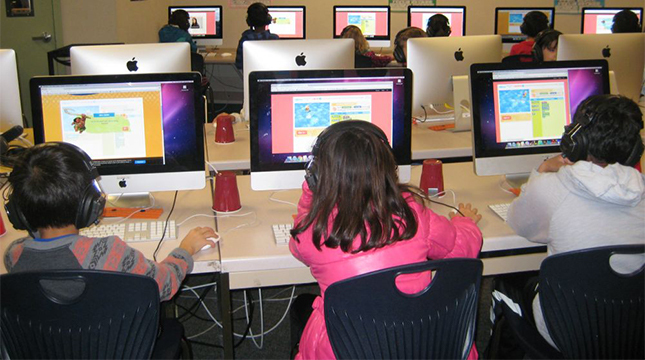 Audubon Elementary School STEAM Academy is a program presented by the Foster City Parks & Recreation Department. 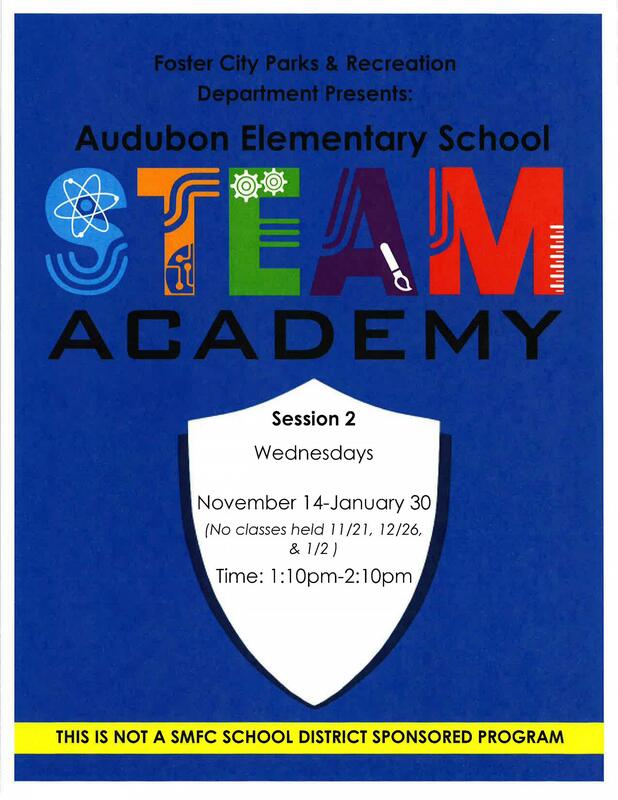 Please check out the Audubon STEAM Academy information packet for additional registration and program details.